When packing light is absolutely essential, nothing’ll drop your bag’s weight better than replacing your regular jeans or khakis with a pair of one of the best travel pants for women. You may already be asking yourself: What kind of a snaky marketing ploy is this? Pants are pants, aren’t they? Well, not exactly. And soon you’ll see just why. Looking to gear up your male travel buddy? Check out this guide to the best travel pants for men! Since I’m sure the question’s already burning in your mind, let’s just get straight to it: What exactly are travel pants? As airlines continue to tighten up their baggage policies, shrinking weight allowances and charging hefty fees for overages, there’s never been a better time to adopt one of the central tenets of minimalist travel: packing light. When you’re packing your bags, you’ll notice that one of the heaviest clothing items is your pants. As much as we all love to wear that perfect pair of jeans while travelling, sometimes packing that extra pair is enough to tip your baggage weight limit over the edge. There’s an easy solution: swap out your jeans (and other heavy cotton legwear) with travel pants. Travel pants are designed specifically for, well, travellers! They use lightweight materials, not just to lighten your load, but to be comfortable, breathable, moisture-wicking, and quick-drying. All of these features offer huge benefits in the ever-moving traveller’s universe. Let’s take a look at a few of the top picks, shall we? 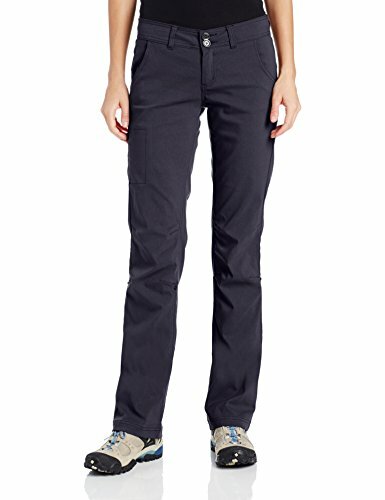 If you are looking for a pair of pants that can be used for travelling, hiking, or just as casual wear, you’ll be pleased to hear that The North Face Women’s Aphrodite 2.0 Pants can do it all. Rated as one of the best travel pants for women, Aphrodite 2.0 are lightweight, weighing only about 220 g (8 oz). One of the biggest advantages of these pants is its FlashDry-XD technology, helping to accelerate evaporative drying and the removal of moisture from the skin. In a nutshell, this technology will allow you to stay dry, comfortable, and go out in a wide range of weather conditions. In addition, the FlashDry’s triple-needle stitching also provides increased abrasion and snag resistance, making the Aphrodite 2.0 extremely durable. However, be aware that these pants snag easily when worn on the trail, resulting in pulled threads. Extreme backwoods adventurers will need to look elsewhere. On the bright side, there is one more thing that makes many ladies fall in love with these pants: the standard straight fit. Many hiking pants are either comfortable or flattering. However, The North Face Women’s Aphrodite 2.0 are actually a combination of both. They are adjustable, stretchy, and they make you look good. If all that’s not enough, you’ll be pumped to know that they also come with a lifetime guarantee. The prAna Women’s Halle Pants are mid-rise pants featuring a very relaxed fit. These pants will not only look good on the trail, but they are also flattering enough to wear around town. Made out of a stretchy material, the prAna Halle pants tick all the required boxes in terms of functionality. You can wear these pants when travelling, cycling, or even rock climbing. The pants are very durable and you won’t have to worry about tears or scratches. In addition, the Halle pants weigh only 340 g (12 oz) and they are suitable for use most of the year round. However, they might be slightly too heavy for hiking in hot weather. Another thing that makes the prAna Halle pants perfect for travelling is that they come with plenty of pockets. The most functional one is the vertical zippered pocket. This pocket is perfect for the items that you want to keep secure, such as your phone or boarding pass. One downside to these pants is that they are not very water resistant even though they do have a DWR coating. Since the pants are made out of quick-drying nylon, however, they will dry off quickly if you ever get caught in a rain blast. Every woman needs a pair of travel pants that are light, stretchy, and designed to keep you cool and comfortable during a long flight or even a tropical hike. And that is precisely what REI Co-op Women’s Taereen Pants offer. These pants are made out of nylon & spandex fabric that’s cool and stretchy. The pants also have a durable water repellent finish and provide UPF 50 sun protection. Thanks to the internal reinforcements and reinforced cuffs, REI Co-op Women’s Taereen was designed to endure a wide variety of travel adventures. Just like the prAna Halle, the REI Co-op Taereen travel pants come with plenty of pockets. Two hand pockets and two zippered rear pockets will keep all your belongings secure. 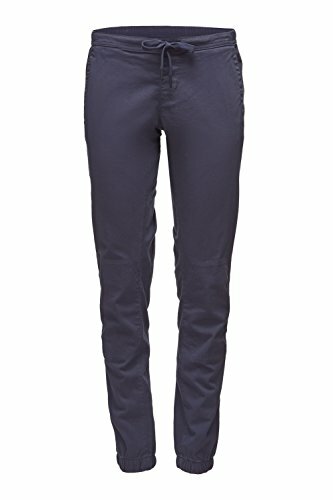 These pants come in two colors (black and peppercorn) and they could have easily become the best travel pants for women, had there not been two slight disadvantages. The front pockets are cut at steep angles, making it very easy for your items to fall out. In addition, the largest size available is XL. All the ladies who are looking for a touch of stretch and loose-fitting pants will definitely love the Black Diamond Women’s Notion. These pants are made out of organic cotton and they are perfect for almost any event whether its unwinding on the couch, going to the gym, or even spending time in the boulders on a cool day. The Black Diamond Women’s Notion feature an elastic waistband that ensures a perfect fit, as well as stretch cuffs that prevent the pants from getting in the way of your footwork. The cuffs also give the pants a trendy cut so you can wear them around town. 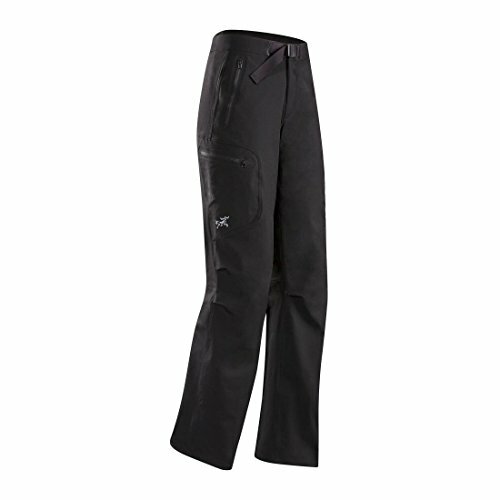 The gusset on these pants enhances mobility and the reinforced knees add to their durability. The pants also come with two hand pockets and two rear pockets that are perfect for keeping small essentials handy. One downside is that these pants are, overall, not the most robust of our picks, fraying relatively easily in tougher conditions. Luckily, Black Diamond offers a lifetime satisfaction guarantee on their apparel, making it possible to repair, replace, or refund the pants free of charge. One great thing about the softshell material of the Arc’teryx Women’s Gamma LT is that it provides better weather resistance than other materials. When it comes to withstanding harsh weather conditions, these gals are definitely among the best. The Arc’teryx Women’s Gamma LT are particularly excellent for the wet cooler months. Despite this slight disadvantage, the Arc’teryx Gamma LT are a superb women’s travel pant. They’re among the most robust and comfortable of all our picks. 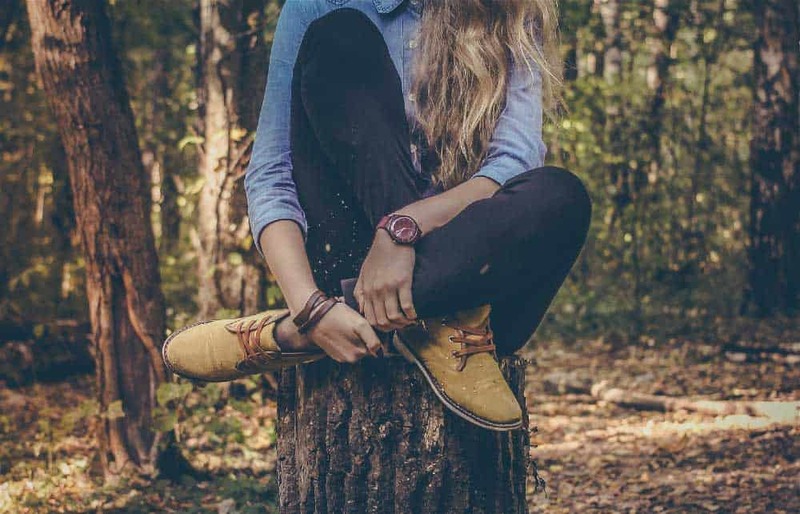 Most of all, the Gamma LT are hardwearing and feature female-specific design that allows exceptional freedom of movement while travelling, hiking or backpacking.